If you haven’t gotten a hold of these dancing streamers yet, I highly recommend! The girls spent a good half and hour or more dancing to music. It’s great exercise too and even the hubby and I eventually joined in on the fun. They aren’t expensive and fold small to store away easily. They can make circles, waves and make the outline of letters with it. The “S” was fun to do and the “O” was a favorite for sure. They can move to the tempo of the music and twirl along with it. I only gave them one wand to begin with. I like this particular one because the ribbons weren’t as long as others. However, supervision should always be present. Do you have any activities you like to do with dancing streamers? 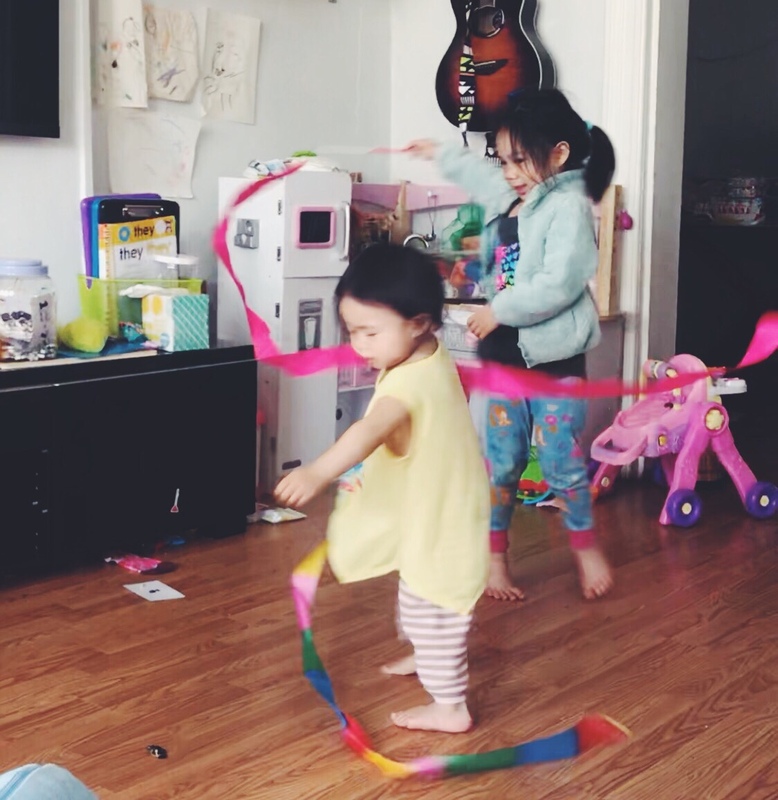 Are there any songs you or your children like to move the streamers along to? The current favorites at our home is Moana’s “How Far I’ll Go” and “Let it Go” from Frozen.